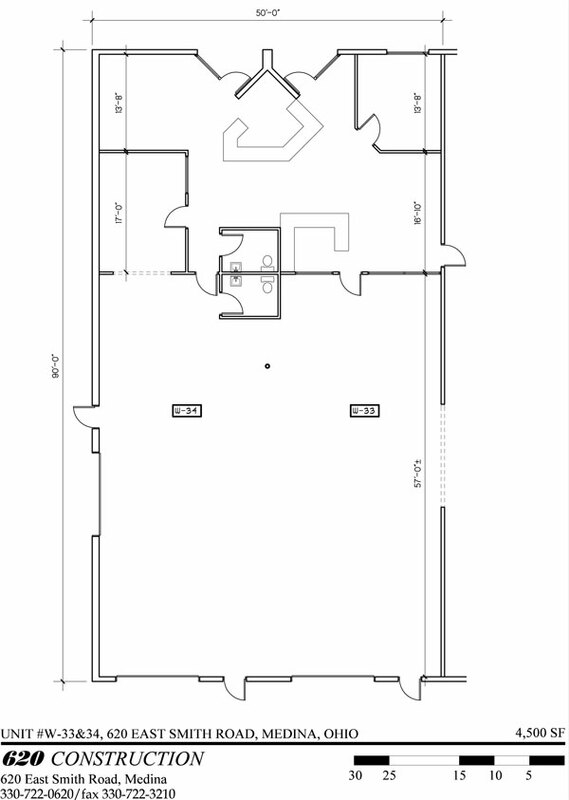 This unit is 4500 sf. with 1500 sf. of office and 3000 sf. of shop or warehouse. It has a built in bar in the office! The shop has heavy 3 ph. power, 2 (12x12) overhead door and 1 dock. Very quiet location in central Medina, Ohio.